This Maximus model is equipped with a bayonet style blade with an unsharpened swedge and a stonewashed finish. 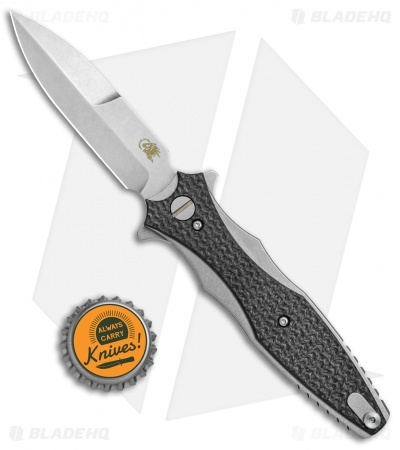 Its stonewashed titanium frame is outfitted with textured carbon fiber scales. 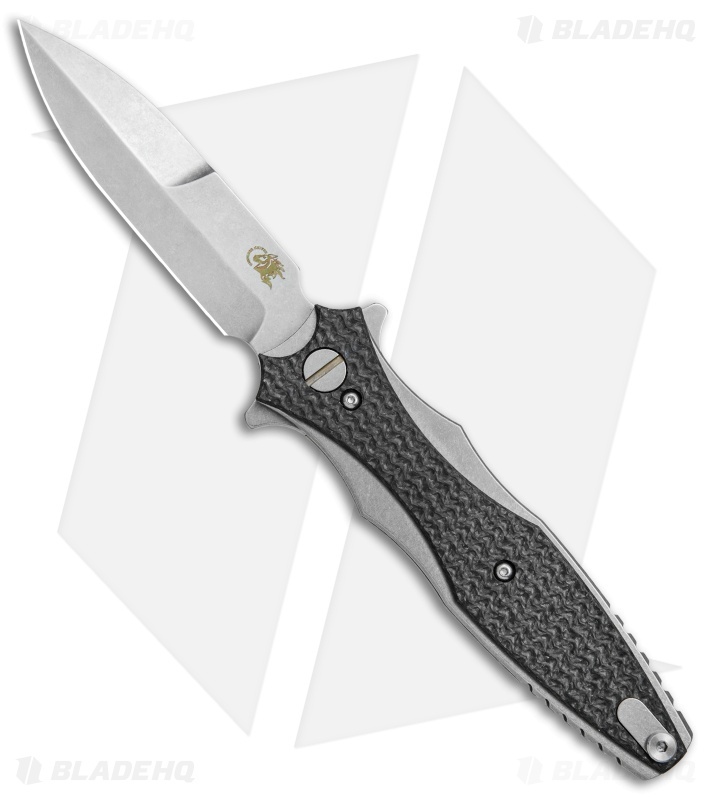 The Maximus is a symmetrical folding design from Hinderer Knives. It offers a unique stiletto inspired build with stylized overlays and an open handle design with a single standoff spacer. 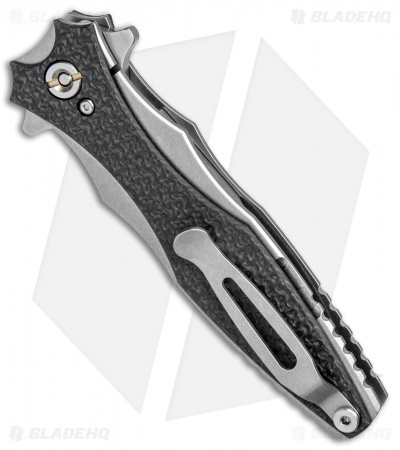 An elegant, contoured titanium frame lock handle provides a secure grip in regular or reversed holds. 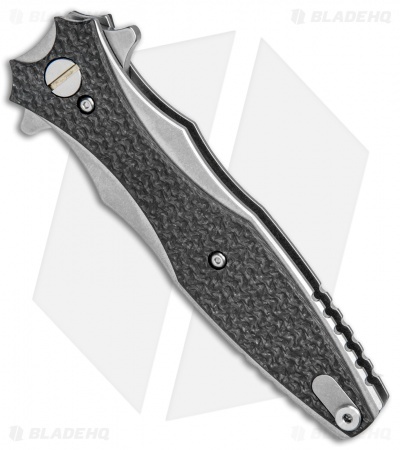 CPM-20CV blade steel provides excellent cutting performance and edge retention. 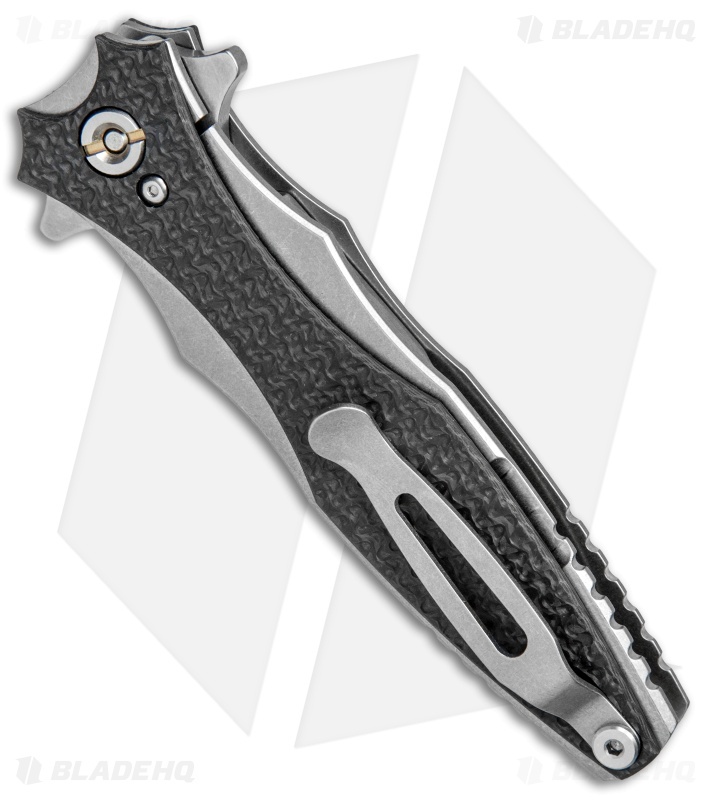 Contoured titanium frame construction offers a solid build and a comfortable grip. 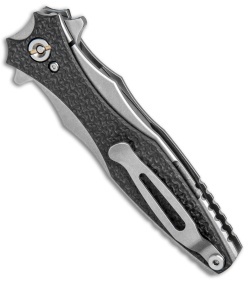 Reversible tip-up titanium pocket clip for convenient everyday carry.